strengthen youth and their relationships. dreams, dilemmas and diversity, we aim to create psychological safety, understanding, tolerance, respect, new insights, understanding and community in a class room. What do you think it is like to teach in our class? What are the characteristics of people who dare to be different? What can be challenging when arriving in a new country and culture? What personal skills would you like to use more in school? How do you think your posts in social media affect others? Which living person is most inspiring for you? How will your family describe you? FuelBox YOUTH contain 170 questions will kickstart great conversations that develop and strengthen youth and their relationships. Through reflection and conversations about identity, relationships, values, feelings, opinions, dreams, dilemmas and diversity, youth can get new insight and experience understanding, connection, belonging and a fun and safe learning enviroment. 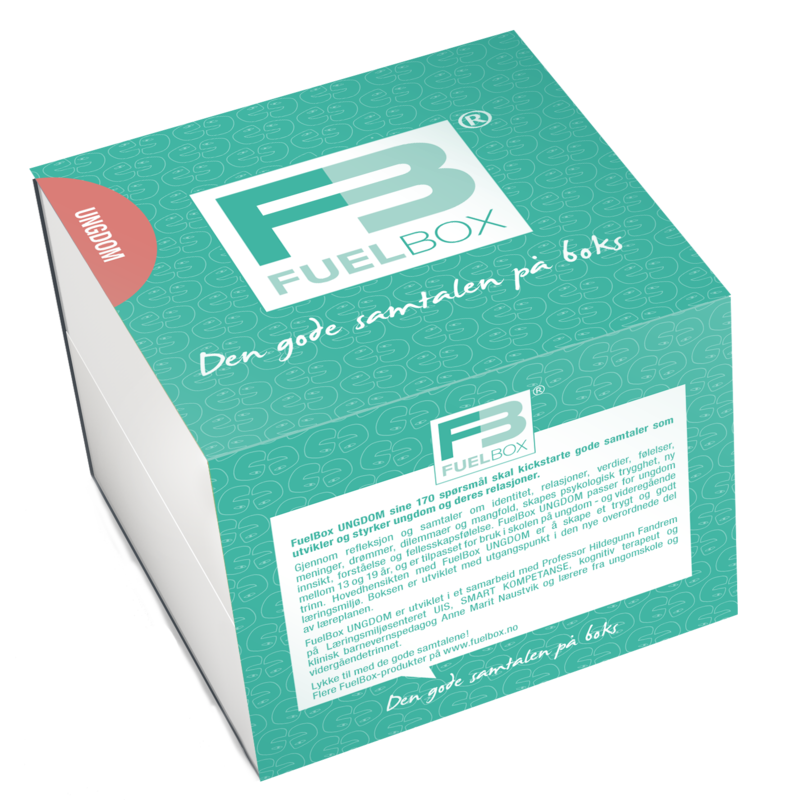 FuelBox YOUTH is suitable for students between the ages of 13 and 19, and is especially tailored for use in school. The famous words from Sir Ken Robinson really outline the main purpose of FuelBox YOUTH. We have developed this box in collaboration with Professor Hildegunn Fandrem at the Learning Environment Center in Norway, SMART Kompetanse, Cognitive Therapist and Anne Marit Naustvik and teachers and leaders from the school system.